First of all, there are mixed reviews in the natural community regarding this product. As with any product, I researched reviews of it prior to purchasing simply because I DO NOT have the money to spend wastefully on ANY product claiming to help my hair!! I try to use wisdom through actively researching products prior to purchasing. Well, on a lighter note….here goes my review of the Tangle Teezer. Ask yourself – are you a hair criminal who is repeatedly guilty of torturing your hair with inappropriate brushes or combs that only tug, tighten and tear tangles from your hair? If the answer is yes, help is at hand. Hair rehabilitation is painless and easy with Tangle Teezer. Change your hair brush not your lifestyle. 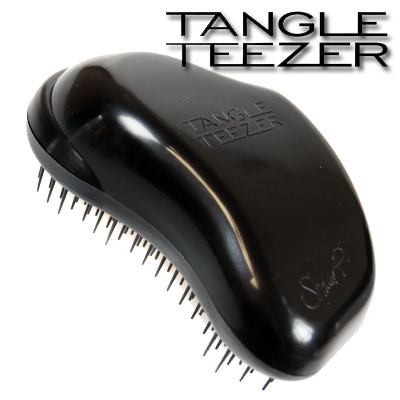 A Tangle Teezer hair brush will break the cycle of broken hair and give tangled hair the brush off. A revolution in detangling hair, it has the ability to flex and not pull upon contact with tangles, gently and effortlessly delivering smooth and shiny hair in an instant. The result? Hair perfection. Your perfect hair care partner, Tangle Teezer Original is a gentle pain free hair detangler that has been referred to as the miracle brush that detangles like nothing else. Its secret is it allows you to manage and style your hair as never before, transforming tangled hair into stress free, style-able hair and encouraging your hair’s natural shine and thickness to return. Truthfully, my initial feeling was that “now that’s TOO good to be true! !”, but after seeing countless youtube videos and blog postings stating that it was like a “holy grail” for natural hair detangling, I got excited and went out to buy one!! I paid a whopping $17.00 for mine only to find out a couple of months later that the price had been reduced to its current status of approximately $10.00. I begin using it a couple of months ago. I would start on clean hair, fully conditioned with a conditioner that had slip(although the product markets that you can detangle on wet, damp or dry hair). I would start at the ends and work my way down to the roots of my hair. Understand that I have 4b/c hair and the strands tend to coil around each other VERY easily so knots, tangles, matting, you name it is ever so prevalent(without proper detangling of course). After a couple of uses, I noticed that hair was left in the bristles. This is typically normal when detangling. The problem is that if the hair present is absent of the little “white” bulb on the ends, its breakage and not normal shedding. 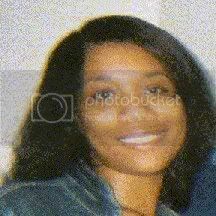 Furthermore, the hair strands were really little, and appeared that it was split ends!!! Yes, split ends!!! Being that 4b/c hair tends to split more frequently and consistently than other hair types, I am overly cautious at ANY product that will make this worse and my job of fixing it HARDER!! I IMMEDIATELY dumped the Tangle Teezer. I did not even consider to try it on my 2 little girls head, nope!!! It’s in the cabinet on retire mode currently. I have to say that it did appear to really detangle my hair, better than my old trusty dandy shower comb, but is the potential for major split ends worth it? My answer to that question is NOPE!! I continue to use my shower comb to detangle after every wash and condition session. I will probably grab the Tangle Teezer every so often to do a deep detangling(well not that often) but I would not recommend it to be used on a regular basis. Deionized Water, Certified Organic Aloe Vera, Sodium Laureth Sulfate, Lauryl Glucoside, Cocoamidopropyl Betaine, PolyQuaterium 7, Glycol Stearate, Glycerin, Wheat Protein, Wheat Amino Acids, Tocopherol, Lecithin, Panthenol, Caprylic Acid, Glycine, Potassium Sorbate, ,Citric Acid. I was shocked at the ingredients…it has a SULFATE! 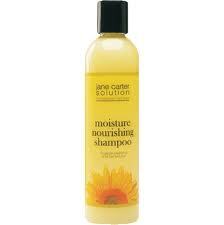 Sulfates are not good for hair, especially natural, chemical free hair! They can strip it and much more. Most of the times, when there are ingredients that are present but hard to pronounce(look at the end), they could be detrimental. I understand that the preservative is needed in order to keep the product. I do like the fact that it does contain some good ingredients including Certified Organic Aloe Vera(a favorite of mine), glycerin, panthenol and wheat protein. The directions state to use a “little”. They are right. I wash my hair while its twisted and in sections. As I took down each section, I added,what I thought was a little and it dried that section OUT!! Then I proceeded, this time, making sure that I used only a little and it worked ok. I’ve tried some other natural products that I liked more but on a scale of 1-10, I give it a whopping 6. That’s good in my book. I’ve also used it on my girls hair(product overall). So in my opinion, do not buy this product because there are much better, all natural products on the market that does not contain sulfates and other harmful ingredients. I’ve been experimenting with quite a few products lately, trying to find out what work’s for my hair the best, hoping to find great quality products. I’ve recently tried the Shea Moisture Shea Butter Leave-in Conditioner to see if it will work on my coils. Though I am not too fond of the Cetrimonium Chloride in it, I LOVE the additional ingredients. Shea Moisture currently has a complete line of ingredients ranging from shampoo to hair masks. I’ve heard a lot of great things about their line overall, for its use on natural black hair so I decided to utilize in in my Kimmaytube leave-in recipe. After getting, I noticed that its consistency was “thick and creamy”! After using it in my leave-in recipe, I noticed that my hair was more balanced and that my hair shaft appeared to lay flatter when styling. Furthermore, it helped to keep my hair moisturized for days. Shea Moisture Shea Butter Leave-in get’s two thumbs up from me.